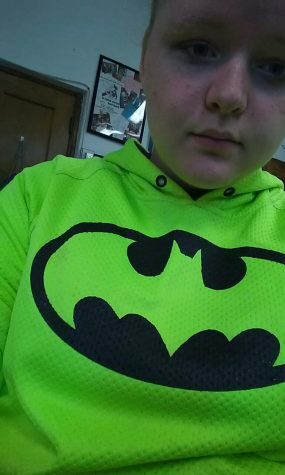 Pay It Forward, a volunteer service organization at Palestine High School is trick or treating for cans this week. 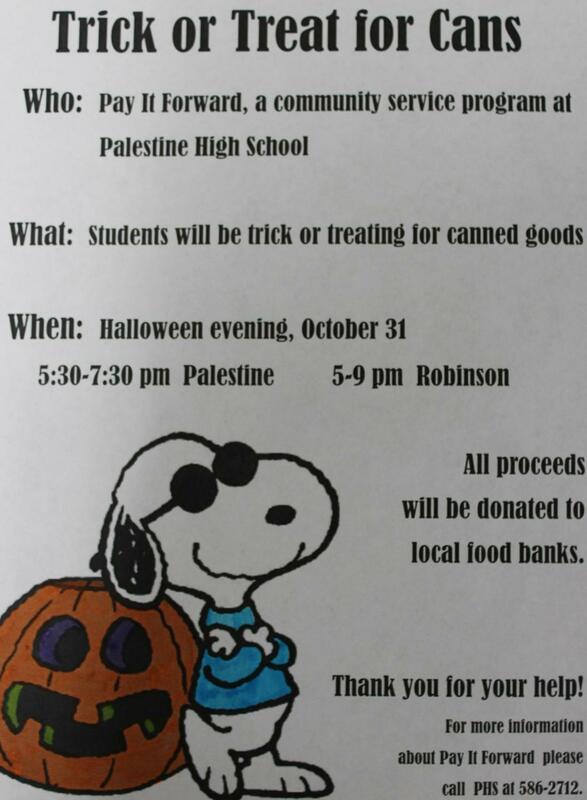 Pay It Forward members have distributed flyers all over Palestine and Robinson, asking residents to donate canned goods when the students return to those houses to trick or treat on Halloween. All cans that are donated will be donated to local food banks. Any students who would like to participate in Trick or Treat for Cans this year should speak to Kelsey Lanham or Carson Fritchie, presidents of the organization. “We are hoping that we can collect many cans to be able to give generously to local food banks.” says Kelsey Lanham, one of the Presidents of Pay It Forward.